Helsinki celebrated the UN International Year of Light with the Bright Baana event. 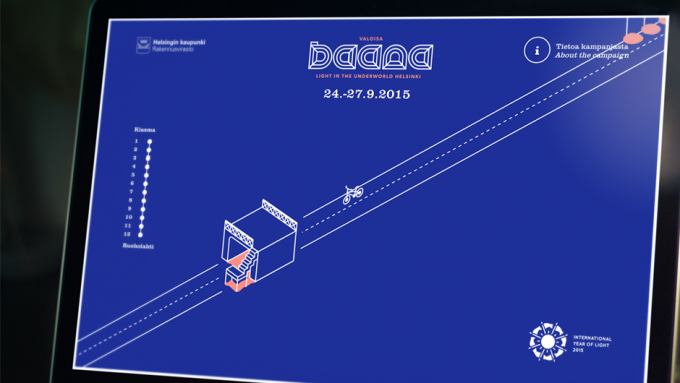 In September, the bridges of Baana transformed into lighting installations for four days. Around ten lighting installations were implemented on the just short of 1.5 kilometre route from Mannerheimintie to the Länsilinkki on Mechelininkatu. The purpose of the project was to gather experiences on the use of new, energy-efficient lighting solutions and their effect on the sense of comfort and safety. 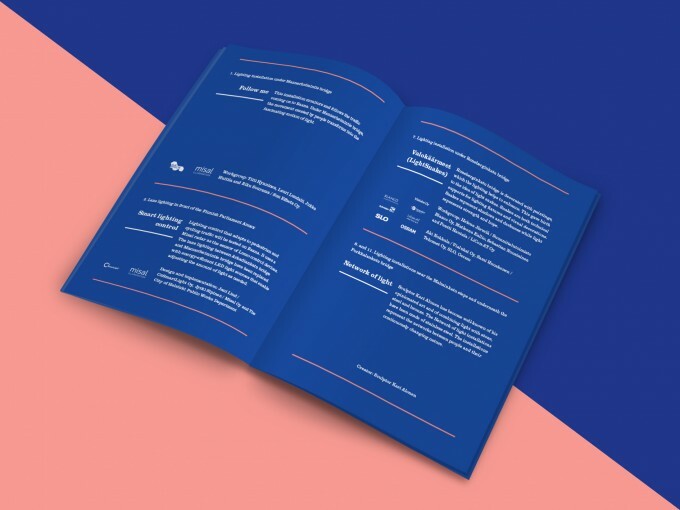 The Public Works Department of the city of Helsinki assigned us to design the branding for the event and a responsive website which would provide the information of the installations and the project for the event visitors before and during the event. We designed the logo based on the form of the Mannerheimintie-end tunnel / entrance of Baana and eventually came up with an idea of an informative website portraying the Baana in an isometric perspective with illustrated bridges marking the location of the installations. When scrolling down the site, the visitor could actually ride his/hers bike down the virtual lane of light and while passing an bridge, one could open the information and the photos of the installation present. This solution allowed the visitor also to use the site as a map of the event area on their mobile while operating on site during the event. A location identification system was also designed to support this kind of use, but was left out in the implementation phase due to tight schedule.